It's official: the weather is now absolutely freezing in Toronto! Since we haven't hit minus double-digit temperatures as of yet, I'm taking advantage of the adorable car coats I stocked up on during warmer times :) I was particularly excited to wear this leopard number for today's post! As much as I love this coat and other's, getting in and out of them can be difficult so I've switched up my arm party as of late to something more simplistic and dainty. These darling bracelets from T&J Designs certainly do the trick. If you follow me on Instagram, you've probably seen a few outfits with these bad boys over the past week. I just can't get enough! Be sure to head on over to their website for a great collection of gold, rose gold and silver accessories that can compliment any glitzy or dainty arm party! LOVE that coat! Looks amazing with the booties! So pretty! love love love that coat! 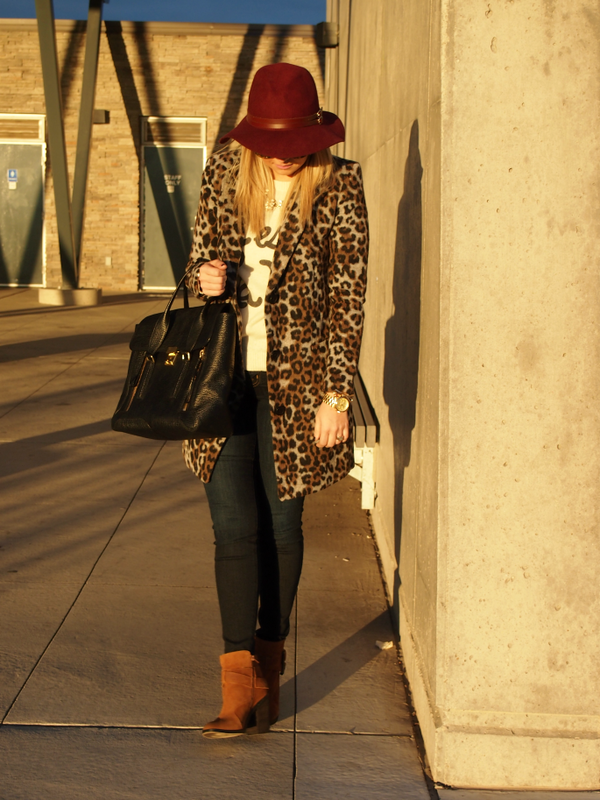 I've been looking for a leopard coat for this winter and I will definitely have to give this one a shot! I've been looking for an animal print coat! Gorge! Gorgeous!! LOVE that coat, you look so cozy and chic!! I am swooning over your leopard coat! You look beautiful as always!! I've been enjoying a lot your fall looks! That coat is everything! Love everything on this outfit. You look pretty amazing. Great look ! love your sweater ! You my dear are beyond fabulous! I hope you have a wonderful weekend! Fabulous Krystin! I just broke out my leopard coat as well - such a versatile statement piece! Cute coat! I just bought a similar one- though black/gray- from Old Navy, and I love it.